This March Wipro appointed Abid Ali Neemuchwala as the Chief Operating Officer. 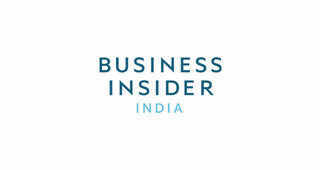 He is also seen as successor to current CEO TK Kurien. However, this July Kurien said, “my term is not coming up for renewal, it's ending and that's a theoretical ending." Neemuchwala recently spoke to the media, the first time after his appointment. You were a rising star at TCS and people there still remember you fondly. It's been quite a journey for you over the past six months since you left TCS. And here at Wipro, you are widely seen as the next guy to take over the top job. Do you have any ambitions on that front? (Laughs) Number one: the position is not vacant. We have a great leader in TK. The decision is not mine -- it is for the board to decide whenever that opportunity arrives. But for now I think I've got my role cut out as the chief operating officer to do some very exciting stuff which I'm busy doing. What have been some of your learnings from TCS that you are trying to replicate at Wipro? The thing that I would always say is that at CS I have learned leadership, I've learned working with bright people and I see the same bright people here and I have the opportunity to execute on my leadership.....I have developed a good connect here at Wipro, that is my style of engaging with people. I regularly blog within the organization and I get hundreds of responses. And that's a level of energy that gets created, that's the power of a 150,000 people that is delivering into the changes that we are bringing. How has it been interacting with Mr. Premji? Tell us a little about your first few interactions with Mr. Premji since you came on board. Of course, he (Premji) is a legend in the industry. Having the opportunity to work for him and with him is a sheer pleasure. Personality who is very caring, who is an epitome of corporate governance. In some of the interactions with him, there is hardly any operational discussions that I would have with him, but conversations around the industry, the people, around the strategy and the governance aspects are the ones that I enjoy having with him and there is a lot to learn, which I continue to learn. What is Mr. Premji's vision for Wipro over the next few years? I think it's part of the company's strategy -- so he's fully behind the articulated strategy. As far as talent is concerned, how big a challenge is it in terms of getting quality? We've heard most CEOs in the industry talking about the dearth of good talent here. Great question. The way Wipro is wired, we started when there was no talent in India. One of our competitive differentiation is the ability to absorb raw talent, train and transform. And we continue to do that. In fact, we're doing it more now than we were ever before. That has been our strength. Having said that, the need for talent transformation is much higher today -- some of the historic work that was happening is all getting automated. The kind of talent that is required in the digital era, you need Unicorns who understand the domain, the technology, the architecture, etc -- and some of us are doing it ourselves for that matter. Also, the intensity of the customer's domain and the ability to consult with the customer compared to just doing the job for the customer is changing significantly...for that we are training our people. We also know we don't have all the skills. So, we are doing some focused acquisitions. For example, our Designit acquisition. What are some of the gaps that you're trying to plug now through acquisitions, things that Wipro lacks at present? So, there are two areas -- one area is the creative side, the design side of things. That is one kind of talent we are bringing in. The other kind of talent from the technology side is people who are able to integrate solutions. Some of the hiring I've done myself is people who have experience of integrating solutions. Rather than delivering individual levers of those solutions. The third area is domain talent. Because domain consulting is becoming large. What are some of the big changes you have tried to effect since you took over? As you know I'm focusing on what we call 'run the business', the core of our business, along with the emerging markets, service lines, the delivery teams, the business operations -- clearly, as you've been following, there are opportunities for us to do better in terms of growth and in terms of the operating margins. So I think those will be the big signals -- everything else just flows through this. But I think there are opportunities for us to be able to respond faster to the market. So, I'm driving what I call 'Simplification' within the organization -- just enables us to be more responsive to our customers, to our employees, to our business partners, everybody. The second and more widespread change I'm bringing about is around the delivery realignment, which enables us to do a lot of things. It enables us to transform our talent as the industry is changing to become more relevant to customers, going into the future. It enables us to do better mining by making the right investments in the customers. Our per customer revenue has been lagging, account mining has been a challenge -- so that delivers towards that. The fourth change that I've brought about is creating an integrated services and solutions group with a team of experts. Historically Wipro has always been a very strong engineering organization and that has always worked well for us. One of the things that has also happened is by individual service lines -- now the future of the industry is about going to the customer and solving the customer's problems. Now if it takes five of your offerings or service lines or practices to come together to do it, you need to do it internally, in the back office. I say we are providing a complete meal service to our customer rather than saying I will serve you vegetable or daal. So this organization is mentoring a larger organization and helping them to transform, both in existing accounts where we can cross-sell better and in deals where we can shape the demand tuned more to the future of the industry. What are some of the areas where you are starting to see results, based on some of the steps you've taken since coming on board? It's too early right now because in the 130 days I've been here, the first 60 days I just absorbed and understood and initiated and some of the changes started going live from the first of August. So I think we should give it some more time. But I think the results expected are along the same lines that I talked about -- better cross-sell, better operational efficiencies, better engagement with clients in the newer technology areas, larger ticket sizes for our customers, etc. The last 5 years have been challenging for Wipro with lots of ups and downs and general lack of consistency. How do you see that changing? Without giving an exact timeline, some of the low hanging fruits should come in the short term. I think most of the foundational aspects that I'm putting in place would deliver results in the medium term. Both on the growth and the operating margins. Why has it been such a big challenge for Wipro to get any sort of momentum in performance? The hunting side of our business, acquiring new logos, new deals -- I think we're doing a phenomenal job. I think if you look at the construct of our business, there is less amount of annuity business that we have compared to some of our competitors. We have a higher amount of project business that gets over. So the incremental revenue and the deal wins that we have are in line with others in the industry. But the amount of refurbishment we have to do with our business because of our proportion of annuity business creates a higher need for new business for us compared to the industry. 3Google I/O 2015: Why should India bother?